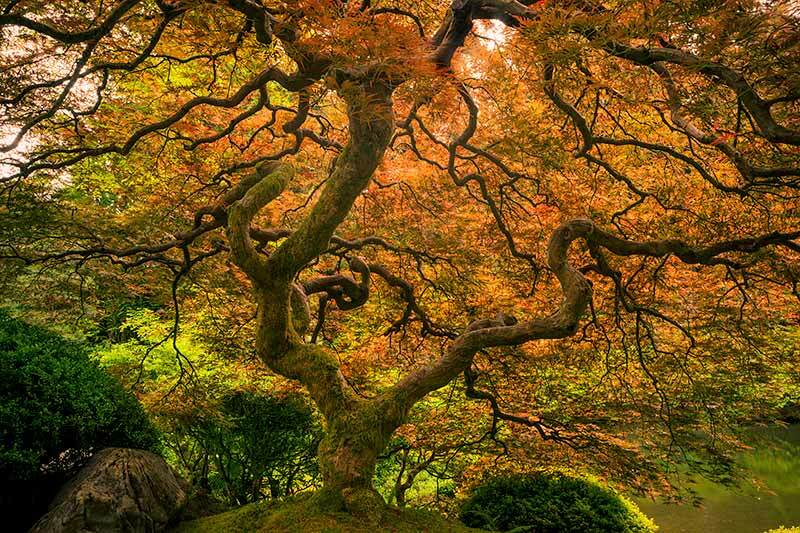 A popular attraction at Portland's Japanese Garden, I was fortunate to have this japanese maple tree all to myself. Rain seems to be a deterrent for most people when it comes to the outdoors. Fortunately I love rain. The Lumachrome process is engineered to overcome and surpass the limitations of traditional continuous tone Lightjet processes and inkjet processes. Details appear to emerge in 3D from the depths of the image with the Lumachrome process thanks to the transparency layer that is infused with iridium particles and is preserved in a layer suspended between the white poly surface and non-glare TruView acrylic. Your ready-to-hang print includes a 1/8" acrylic facemount with a 6mm or 12mm Comatex backing and an HD 1.375" ROMA back mounted floating frame. My limited editions will be kept to a small number of 25 prints. There is nothing limited about edition sizes in the hundreds or thousands as that is basically no different than an open edition. Limited edition prints will only be printed on museum-quality Lumachrome HD TruView acrylic as these prints are the best presentation style that your money can buy. The print number and edition size will be digitally printed in a small font size on the lower right of the print. You could opt to not have the print numbered as well. Estimated turnaround time for Lumachrome HD prints are between 4 to 6 weeks. A signed Certificate of Authenticity will be mailed to you separately from the print.